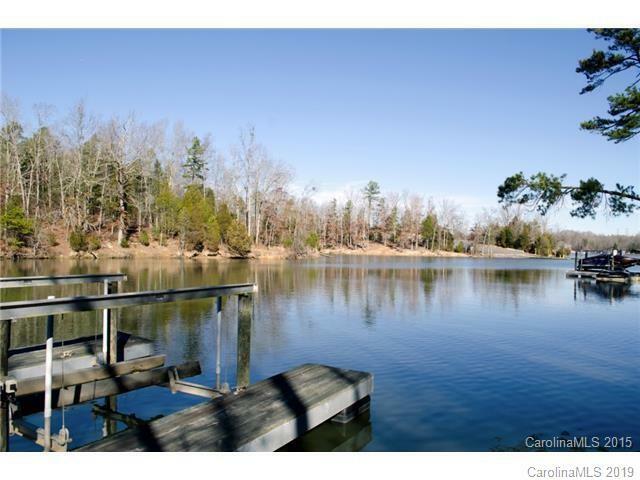 Ready to start enjoying luxury and fun on beautiful Lake Wylie? Come see this waterfront custom beauty on a spacious, private lot. Wonderful views abound from all levels of this gorgeous home! Master suite on main level has spa-like master bath and water views. Chef's dream kitchen with granite, stainless steel appliances (including induction cook top) and custom tile work. Enjoy all the lake has to offer and outdoor living on the large patios, deck and dock. Huge walk out basement is ready to be finished as well as a huge bonus room to be finished to your liking. With lots of room for expansion, water view, floating dock, great floor plan and Clover schools, this house has it all! Seller comment: "This is a ‘deep’ cove – we’ve owned lot since 2007 – even in severe drought we have always been able to use out boat even when other docks were laying in the mud and boat ramps were closed." Must see!